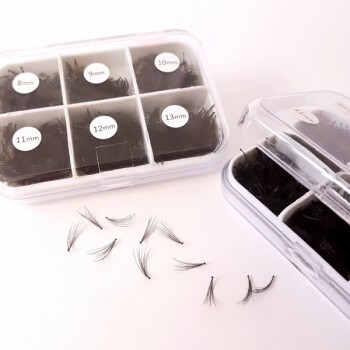 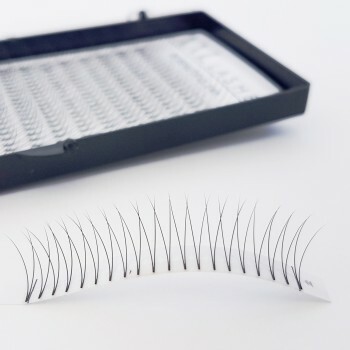 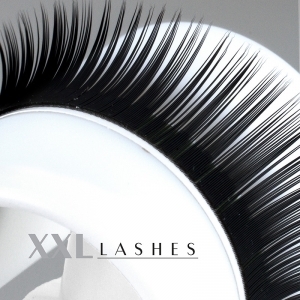 10 D Volume Flare Lashes, 60 pcs, without knots, C curl, 0,05 mm "thin", wafer thin - also known as "hot melting lashes"
Silicon Box / Small box for eyelashes with an attached silicon pad on the lid. 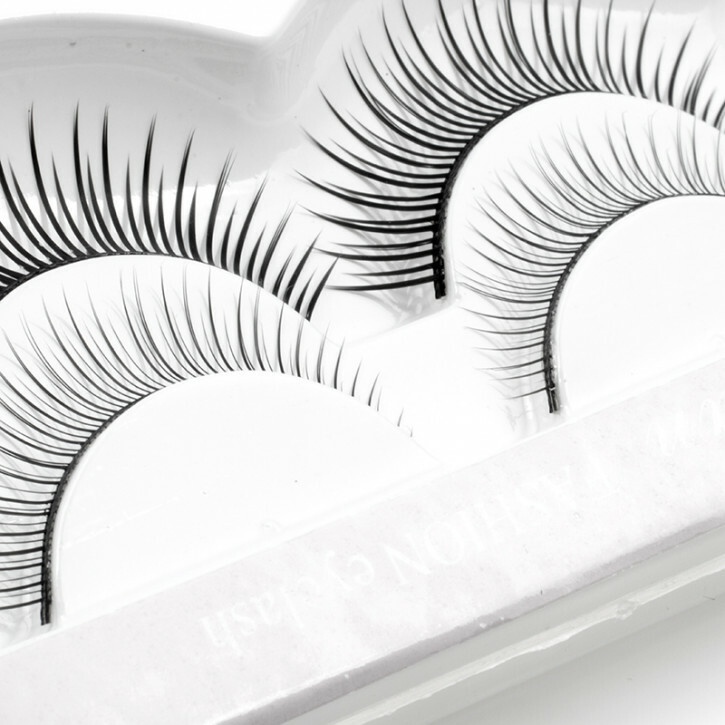 Strip Lashes. 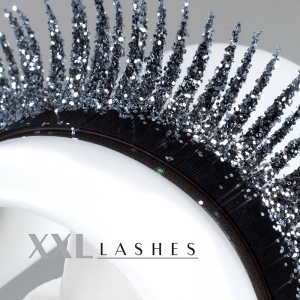 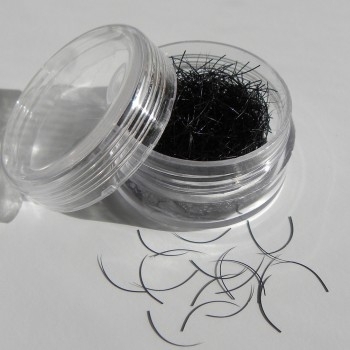 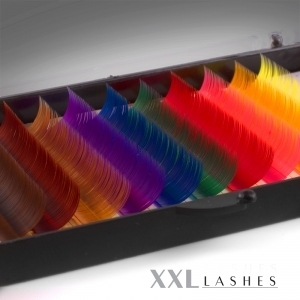 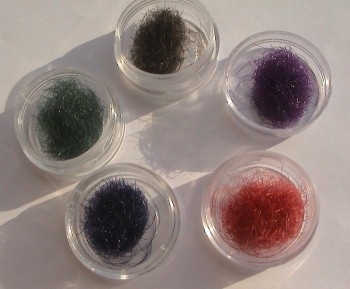 These are a set of eyelash extensions that are combined into a strip for easy application. 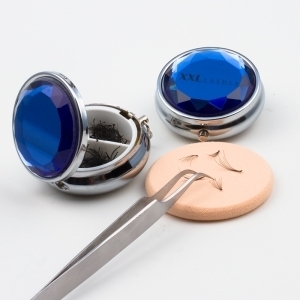 They provide fast and secure attachment to the eye lid and in the same time quick application. 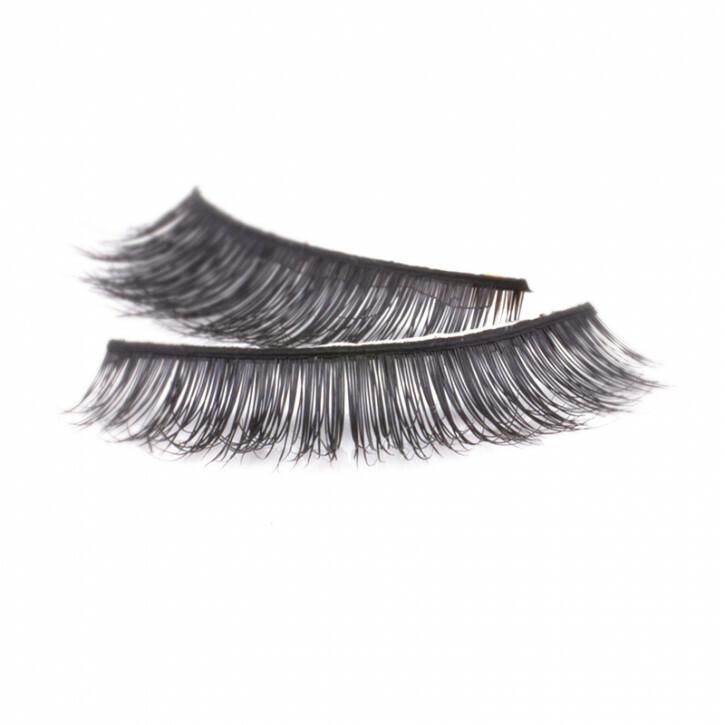 They are made for dizzily fantastic appearance and are used mostly for evening events. 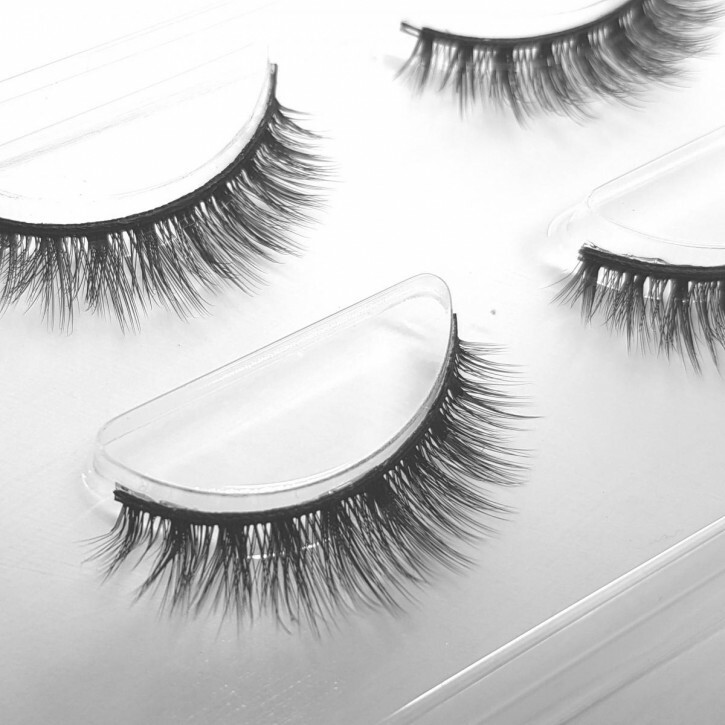 Flares. 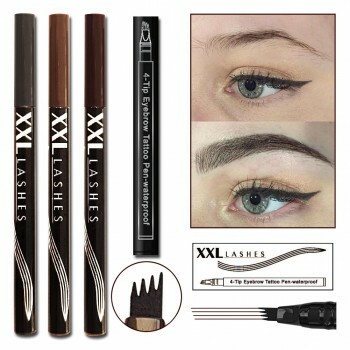 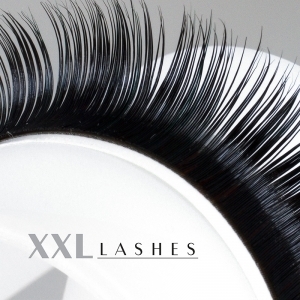 Combination of several (two to six) shorter and smaller eyelashes, which provide more ingenuous look by thickening the lash line. 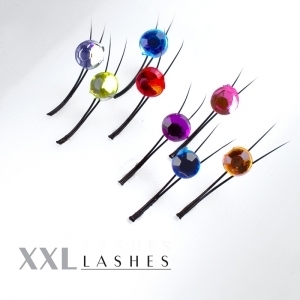 They are applied by specialists in the cosmetic saloons and need special care. 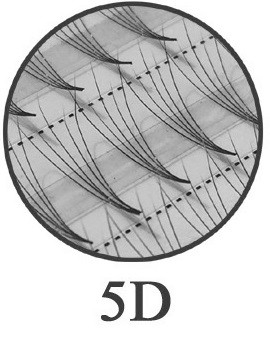 Individual strands. 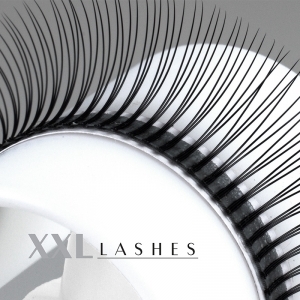 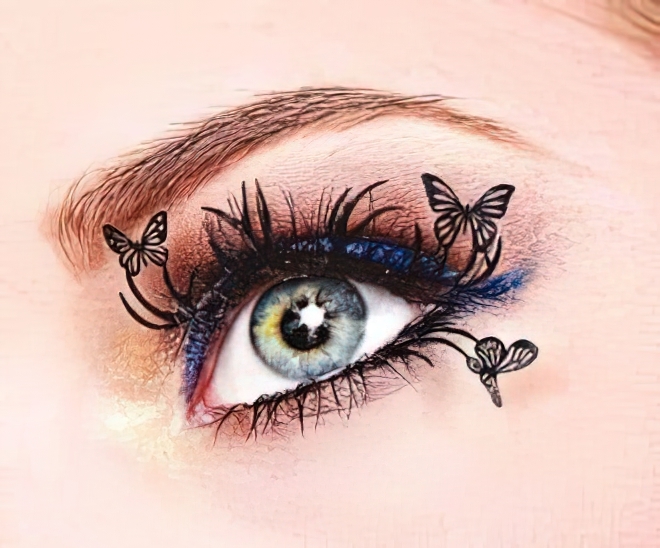 These are the most natural looking eyelash extensions. 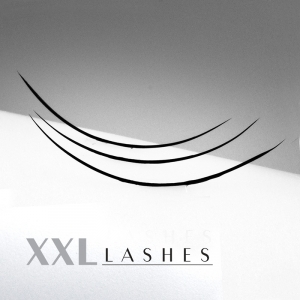 Separate flares add volume and original look by thickening your existing lashes. 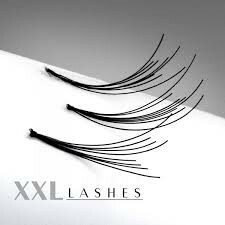 They're the type that professionals use in the mascara commercials to imitate longer and lush appearance for the top models. 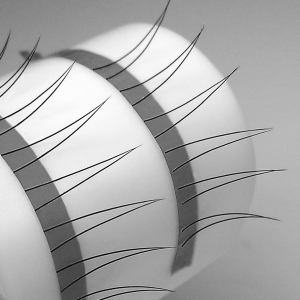 Also applied by specialists, they need weekly treatments. 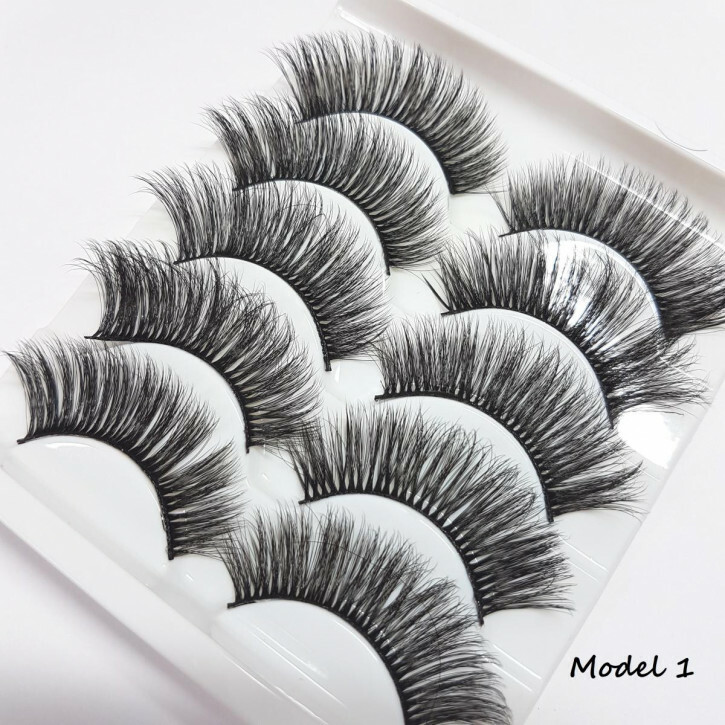 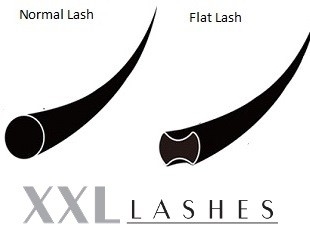 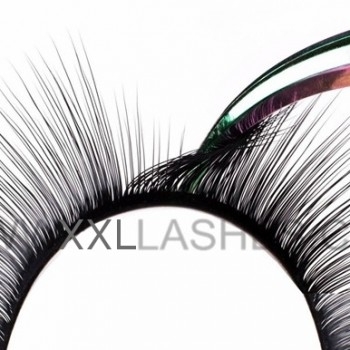 Also there are several different types according to the shape - W-lashes, C-curl lashes, J-curl lashes, Y-curl shaped lashes. 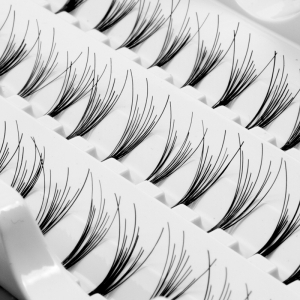 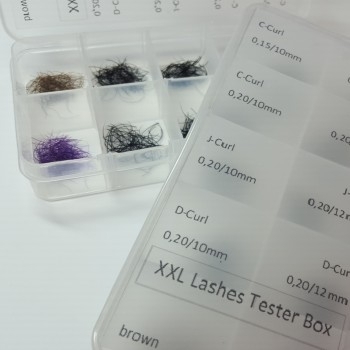 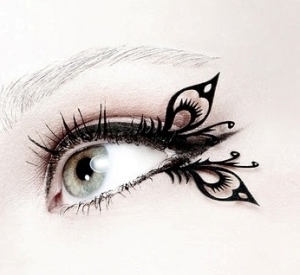 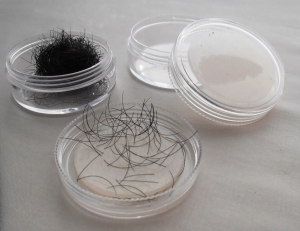 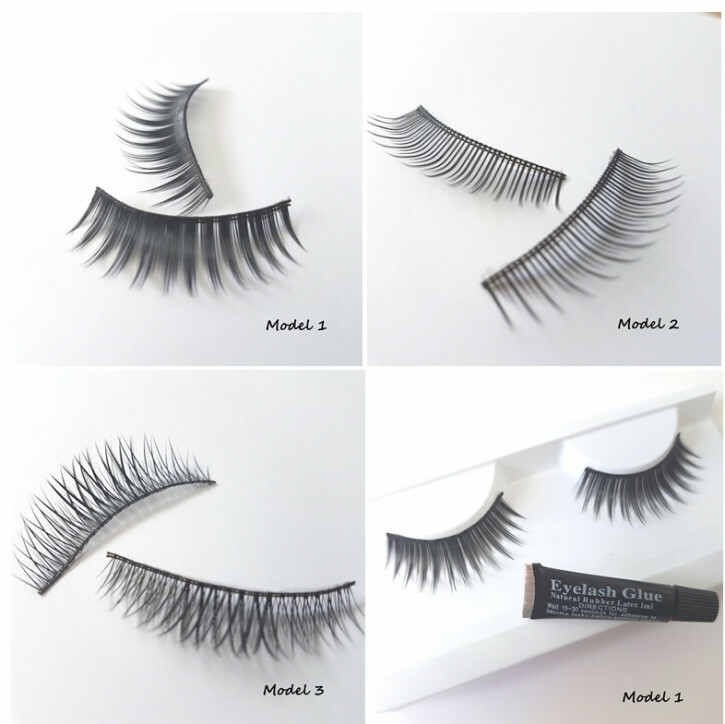 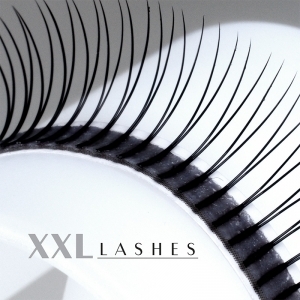 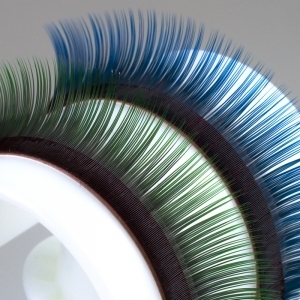 Unless otherwise indicated, the eyelashes are made in Korea from PBT fibre, used for instance in tooth brushes. 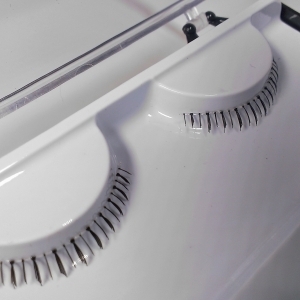 PBT is valued for its dimensional stability and resistance to heat.